You can’t shop anywhere without running into a legion of Redboxes. Now it looks like the cardinal-colored entertainment kiosks are keen to transfer their physical omnipresence over to the digital world. After shoring up its presence on iOS, Windows Phone, and Android (including the forked Kindle Fire tablet), an official Redbox app has just touched down in the Windows Store. Redbox lovers will find a lot to like, though there’s nothing groundbreaking here. 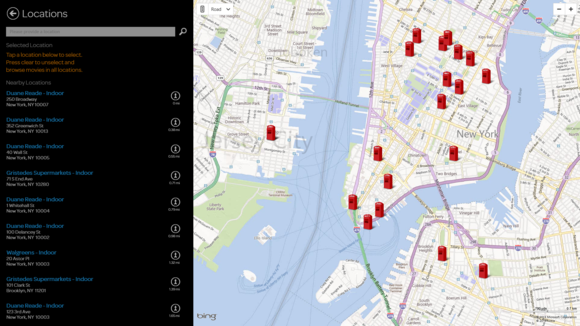 In addition to the Most Popular, Coming Soon, and Newly Released lists of movies you’d expect to find in an app like this, the Redbox app can tap into your device’s location to pinpoint kiosks near you, using Windows 8’s baked-in Bing Maps as a backbone. Not sure where a particular kiosk is located relative to you? The app can even provide directions. That’s a lot of Redboxes! 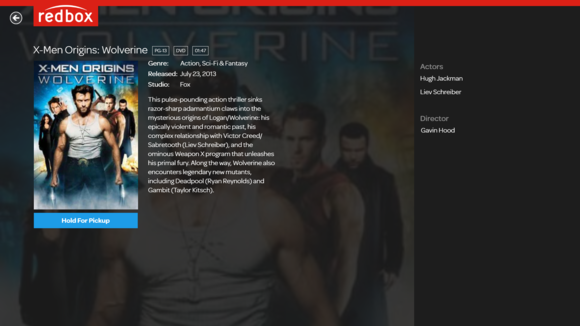 Clicking on a title brings up a brief description and a list of actors and, if you click on a movie’s box art, its trailer will play, assuming one is available. If you like what you see, you can even reserve the movie and pick it up later that day. A couple of major elements are missing, however. Notifications for expiring rentals would be a handy-dandy touch, as would integration of the streaming Redbox Instant service. The app occasionally froze on me as well, requiring a quick closing and reopening. 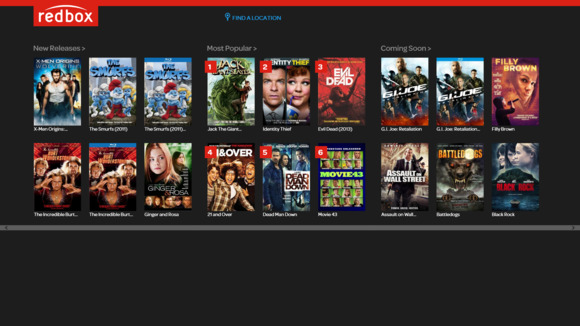 But all in all, Redbox’s Windows 8 app is a simple, solid offering that enhances the core Redbox experience and keeps you from having to hoof it down the street to see whether or not the hot new movie is in stock. It’s hard to gripe about that.